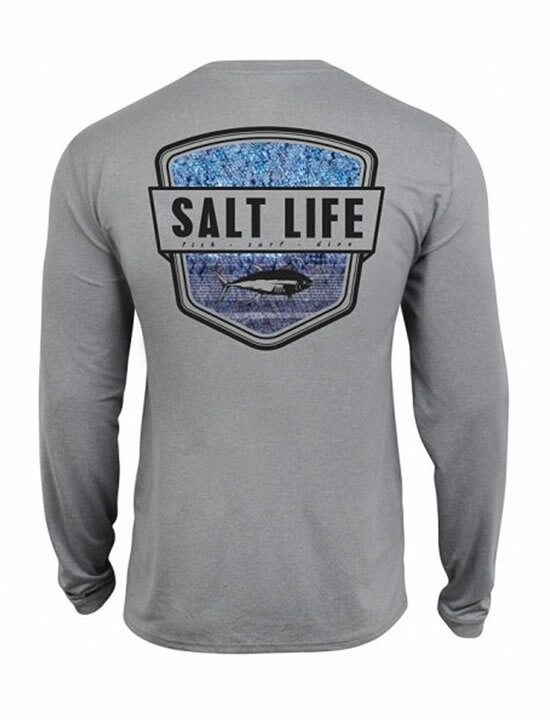 The Water Skinz Badge SLX UVapor performance long sleeve fishing shirt from Salt Life delivers exceptional sun protection and comfort along with everything you’ve come to expect from the established Salt Life brand. 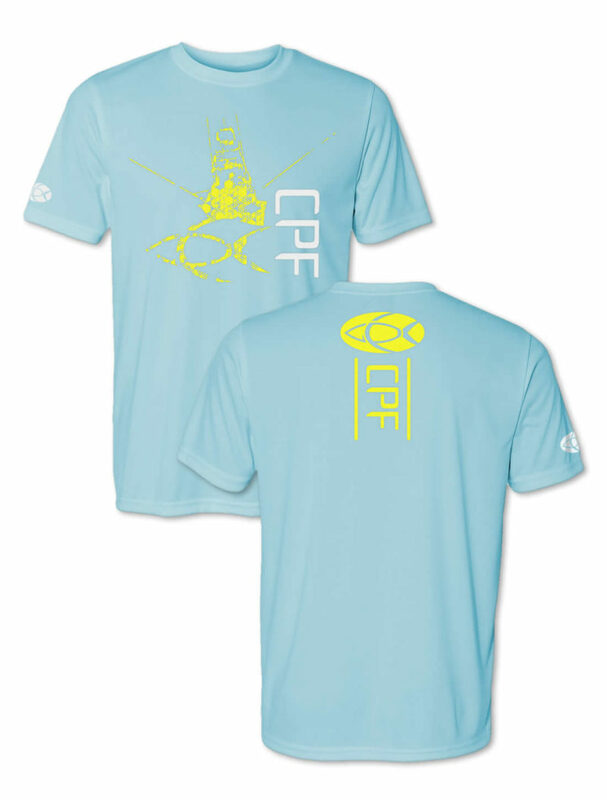 The rear of this fishing shirt is sublimated printed with the Salt Life name and a tuna over a field of vibrantly colored scales. 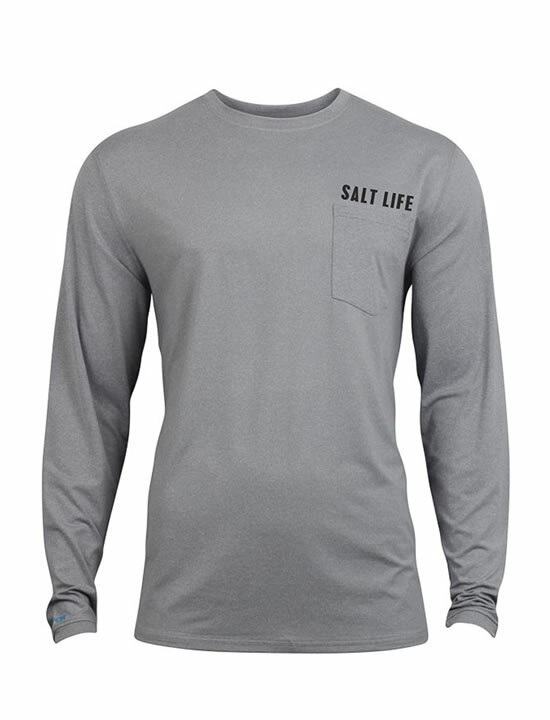 The front of the shirt features a pocket on the left chest with the Salt Life name printed above it. 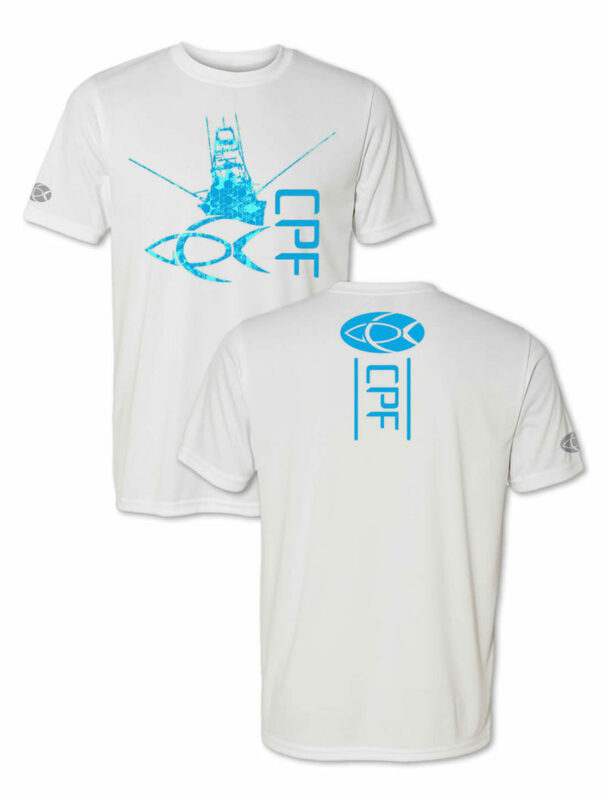 These performance fishing shirts are made from an 88% polyester combined with 12% spandex and are treated for a UPF 30 level of sun protection. The SLX UVapor fabric provides built in cooling technology in an ultra soft and flexible weave. 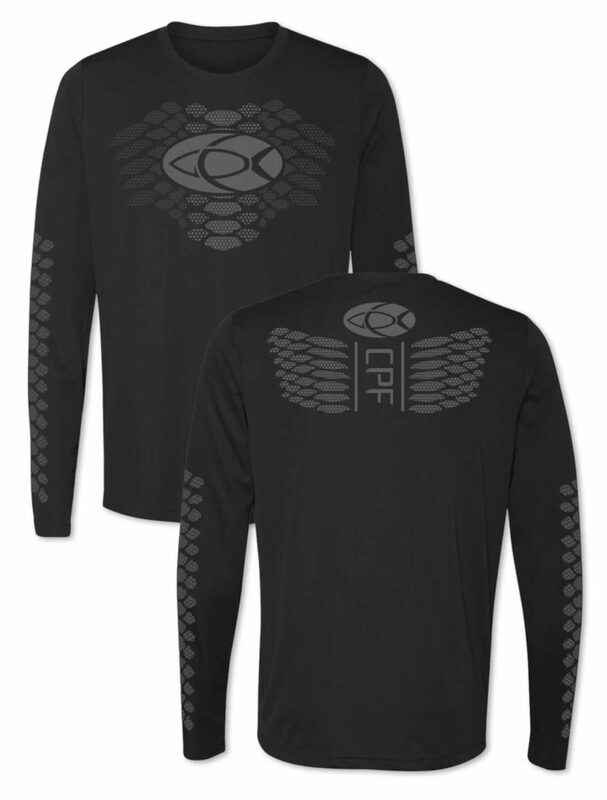 Experience the comfort of Salt Life SLX fabric with the Water Skinz Badge performance long sleeve fishing shirt. Aside: There are 15 species of tuna – 5 bluefin, 3 yellowfin, and 7 other species including skipjack and little tunny, among others. The lifespan of tuna is a mere 4 years.